Are you over 50? Would you like to take your health into your own hands and learn how to take preventative measures and reduce your current health issues? 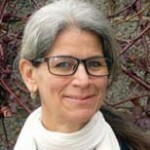 Learn a little about Ayurveda and how to use simple dietary and lifestyle guidelines to improve, heal, reduce symptoms and hopefully prevent the issues that take away the pleasure of being an elder – each session is adapted to who is present – Kay highlights our health is precious – and she is most supportive. These sessions offer a wealth of wonderful ideas, information and expertise that can be invaluable for our health. Small numbers and great involvement and Kay is so approachable.